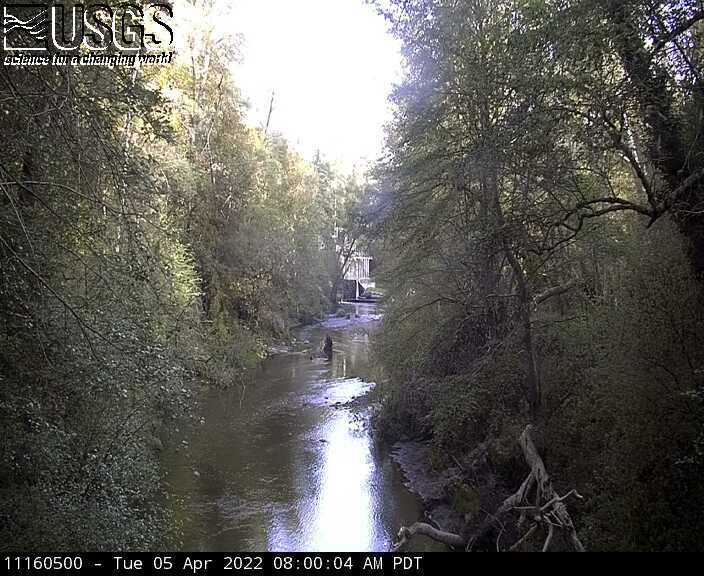 This webcam is located at the USGS stream-gaging station on San Lorenzo River at Big Trees State Park. This station provides continuous monitoring of certain river conditions such as flow and stage. The webcam provides valuable information to the City of Santa Cruz to evaluate real-time conditions in the river channel during storms. A visual record of flooding also provides valuable research data for the USGS. Image updates every 15 minutes.